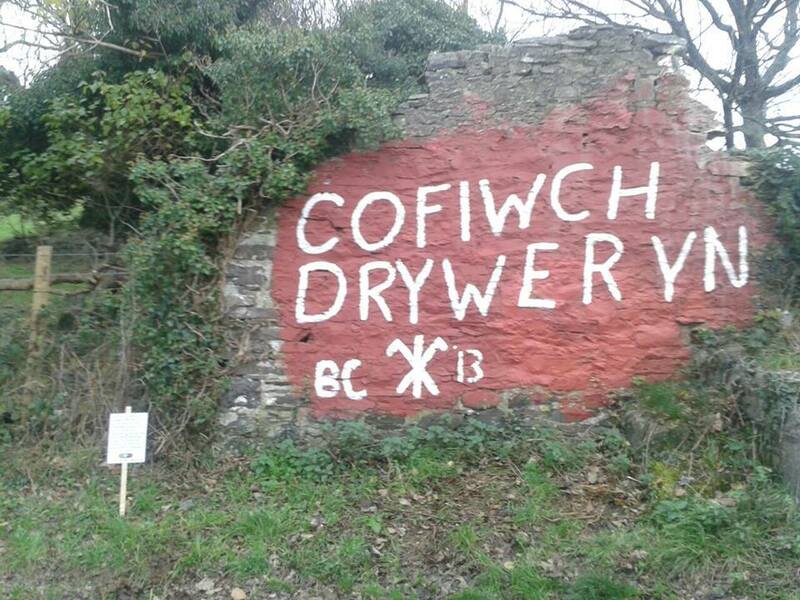 This entry was posted in Art, Ceredigion present and tagged Cofiwch Dryweryn by Curious Scribbler. Bookmark the permalink. 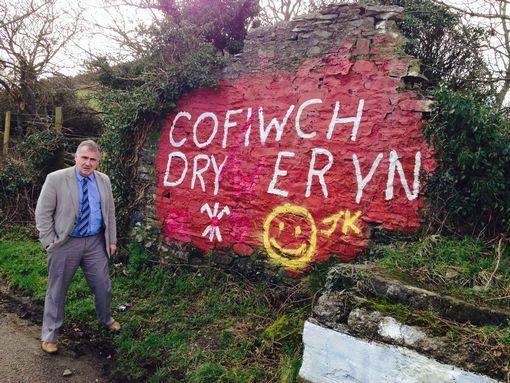 There seem few references to the real reason for the drowning of the village of Capel Celyn – that Liverpool City Corporation was selling water for industrial use to 24 other authorities. 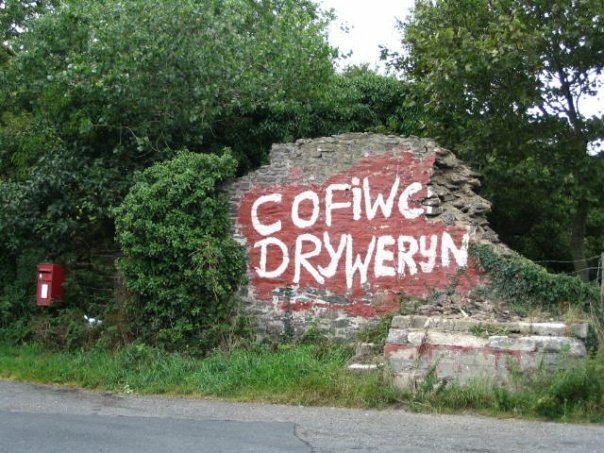 During the decade preceding the building if Tryweryn, the city’s population was actually decreasing so this was commercial greed, pure and simple, and although 35 of our 36 MPs voted against it, a law was passed in Westminster to allow this plan to proceed. 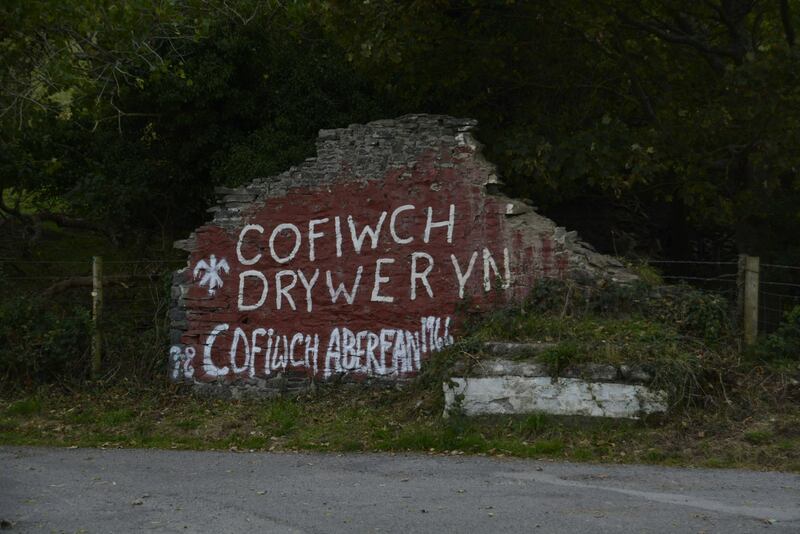 Thank you for adding this to re-iterate why Treweryn should be remembered. 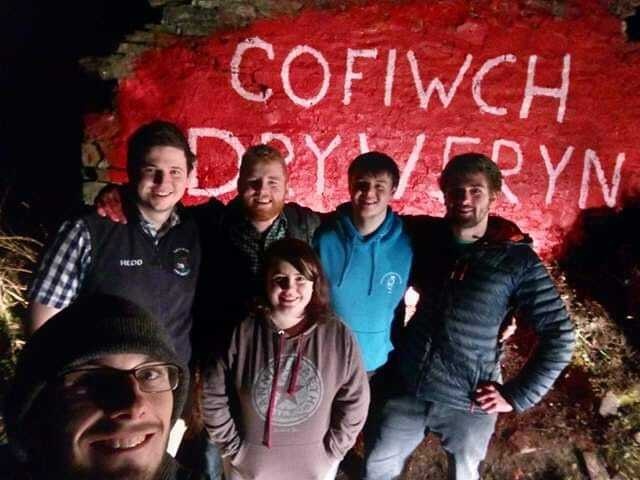 What is heartening that young people (whose own parents had probably not been born at the time of the flooding!) 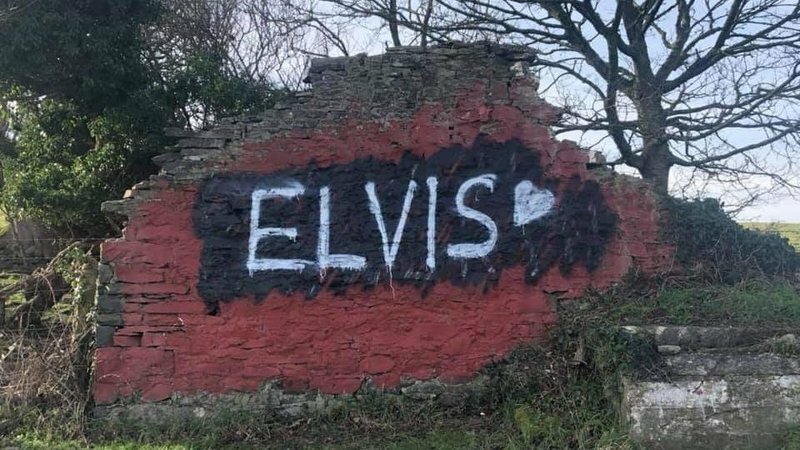 do know, and think it is worth preserving the memory! 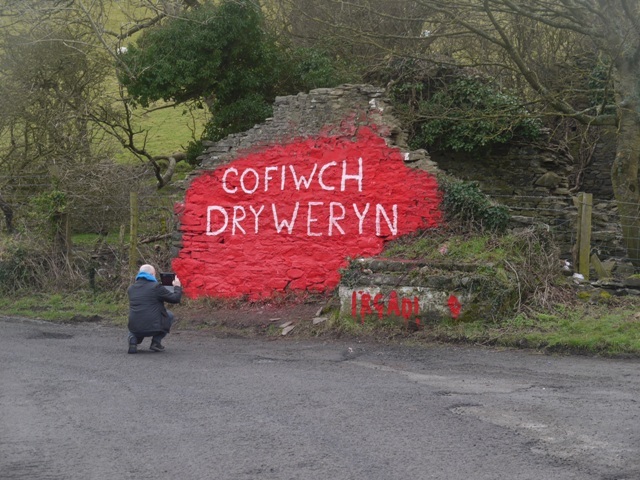 As someone who helped repaint the wall after a graffiti incident in 2010, the main issue in terms of physical protection is from the elements more than anything. 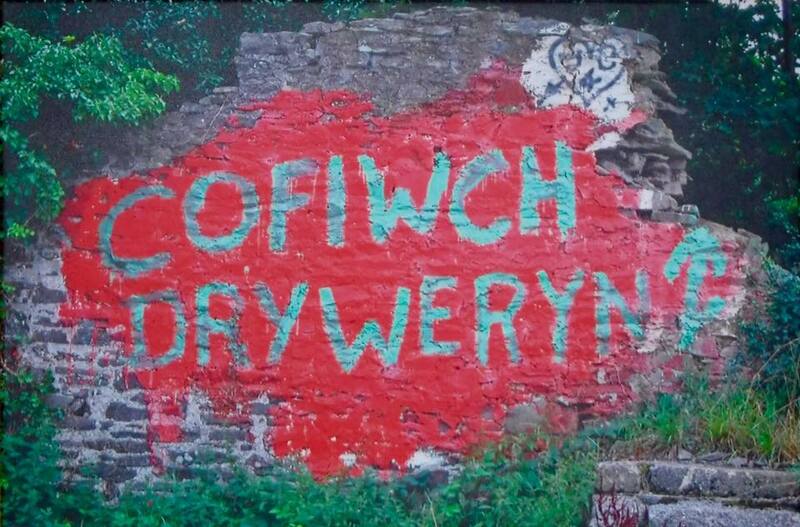 That is to say, the wall is shrinking year by year and desperately needs to be stabilised. This could take the form of a supporting wall to the rear, repointing and/or perhaps even the insertion of metal rods.